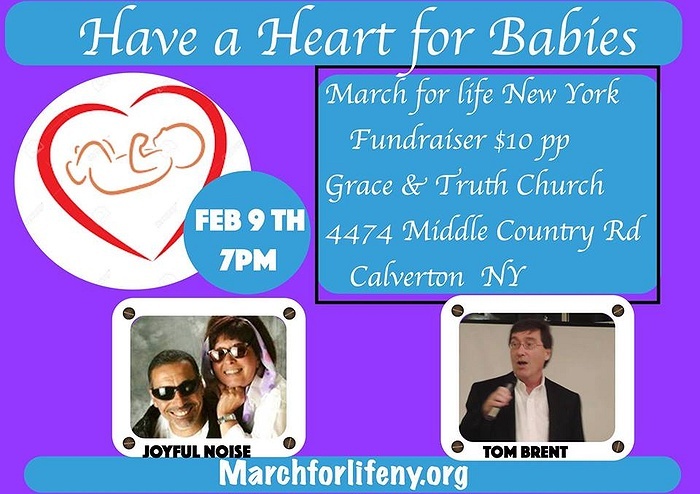 Subject: LongIsland.com - Your Name sent you Event details of "Comedy Night"
Grace and Truth Church is hosting Comedy Night for March for Life NY Fundraiser, "Have a Heart for the Babies". Joyful Noise and Tom Brent are performing for a great night of clean comedy, music and lots of fun. $10, includes dessert and coffee. 7pm. Be prepared to laugh a lot!